JOHOR BARU: There are still large tracts of land in Johor Baru that have potential be developed into residential properties with decent built-up area and offered at affordable prices to first-time local house buyers, said Johor Real Estate and Housing Developers Association branch chairman Koh Moo Hing. He said Iskandar would be the one of main factors that contributed to the positive growth in the Johor Baru property market as it helped boost demand for houses in the area. “Confidence in Johor is now at all-time high the progress in Iskandar is not only about Johor but the nation as well,'' added Koh. Government-backed Iskandar sprawls on a 2,217 sq km in the southern-most part of Johor and is divided into five flagship development zones the Johor Baru City Centre, Nusajaya, Eastern Gate Development, Western Gate Development and Senai-Kulai. Koh said improvement in connectivity and accessibility in Iskandar would prompt first-time house buyers to look at other locations in the vicinity which were previously unpopular. 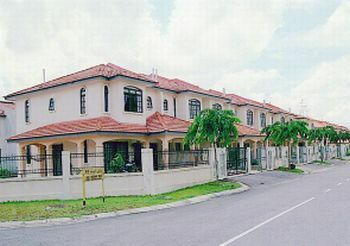 “Developers with land in the suburban areas of Iskandar can offer affordable houses to first-time house buyers as location is no longer an issue to them,'' he said adding that developers in places like Senai, Kulai, Ulu Tiram, Pasir Gudang and Kota Tinggi were popular with first-time house buyers as they offered houses priced at between RM110,000 and RM220,000. Koh said the Johor property market had yet to reach the “boiling point” like in Penang island, where prices of residential properties had soared by more than 25% over the last five years. IOI Properties Bhd senior general manager Simon Heng likened the situation in Penang to Hong Kong or Singapore where developers had to fully utilise every inch of land available for their projects for maximum returns. Heng said a house buyer in Penang pays between RM200,000 and RM300,000 to get a lower-end apartment. For that kind of money, he would get a single-storey or a double-storey terrace in places like Kulai, Kangkar Pulai, Pasir Gudang, Ulu Tiram and Kota Tinggi. Access to these areas had improved tremendously over the years, in tendem with the development of Iskandar, he added. Heng who is Rehda past chairman said: “On the average, prices of residential properties in Iskandar Malaysia have increased between 15% and 20% over the years as demand is good,'' he said. IOI Properties ongoing projects in south Johor include Bandar Putra Kulai a 2,428.11ha integrated township project where 809.37ha had been developed with 11,000 houses. Its other project is the 121.40ha Taman Kempas Utama. Both projects will keep the company busy for eight years with a gross development value of RM4bil. Meanwhile, SP Setia Bhd executive vice-president (property division) Datuk Chang Khim Wah said Iskandar was still a good place for bigger landed properties due to the availability of land here. “Comparing Penang to Johor Baru is like comparing an apple to an orange; they are two different places with different market scenarios,'' he said. Chang said when developers offered their products, they did that based on the market demand and also the suitability of the project's site whether for high-density or landed residential properties. He said even though Iskandar still had plenty of land for the landed residential propertes, demand for apartments or condominiums was on the upward trend in the last four or five years. “Condo living is catching up in Iskandar as buyers are getting younger; most of them are below 40 years old and open to new ideas,'' he said. Chang said most of condo buyers were Malaysian professionals working in Singapore and young families who opted for safety and security offered by developers in their projects. He said the company's service apartment in Bukit Indah and Setia Tropika was selling between RM400 and RM450 per sq ft and the rate was consider lower compared with service apartments in Penang or the Klang Valley. Chang said on that note, the company would be launching its Setia Sky 88 service apartment on a 1.61ha site at Jalan Abdullah Tahir in three months with an indicative selling price between RM600 and RM700 per sq ft. The project consists of three towers with 55-storey block each. Phase one will have 294 apartment units. KUALA LUMPUR: The Pulai Desaru Beach Resort & Spa in Johor plans to build several units of private villas to capture the luxury market. The resort sits on a 10.5ha site, of which only a fifth has been utilised. "We are in the midst of planning an expansion in the resort. We are looking at villas with private swimming pools," its general manager Azmi Sharuddin said. The villas, which are aimed at capturing luxury holidaymakers, are expected to be ready in about two years. "We have not decided if we want to sell the villas or if we will own and operate them," Azmi said. The move will be strategic as the Pulai Desaru is located directly next to Khazanah Nasional Bhd's Desaru Coast development. Khazanah, through Destination Resorts and Themed Attractions & Resorts, is building a 1,780ha integrated luxury destination with the first phase targeted for completion in 2014. Meanwhile, not far away, Themed Attractions is building two themes parks, namely Ocean Quest and Ocean Splash. Once completed, these projects are expected to make Desaru vibrant and attract more visitors. With that, Pulai Desaru wants to capitalise on the anticipated increase in tourists arrivals there. Pulai Desaru's history can be traced when it was built by Japan-based construction company Fujiko Cio Ltd. It was then named Desaru Perdana Beach Resort. The hotel was bought over by Datuk Chua Jui Leng in 2004 and renamed Pulai Desaru Beach Resort & Spa. This resort is part of the listed Pulai Springs Bhd, which also operates the Pulai Springs Resort in Johor. 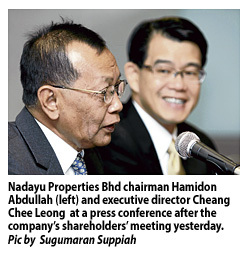 The listed entity is now controlled by the Mah family from Penang.